2nd Offense DUI / Operating Under the Influence Category Archives — Boston DUI Lawyers Blog Published by Massachusetts DUI Lawyer — Law Offices of Lefteris K. Travayiakis, P.C. Mark A. Traversi, 56, of Attleboro, was arrested twice this past week, and three times in the last three months, on Massachusetts Drunk Driving Charges. Traversi was first arrested last Sunday in Rehoboth for Operating Under the Influence of Alcohol, Second Subsequent Offense. He was against arrested on Monday, again for Operating Under the Influence of Alcohol, Second Subsequent Offense, this time for allegedly driving into a yard in Attleboro and then taking off. Following the Monday DUI / OUI incident, Mark A. Traversi was arrested at his Attleboro home, at which time he reportedly submitted to an Alcohol Breath Test which yielded a reading of 0.30%. Traversi was arraigned in Attleboro District Court and charged with Operating Under the Influence, Second Subsequent Offense, Negligent Operation of a Motor Vehicle, and Leaving the Scene of Property Damage. Nicole Parziale, 39, of Amesbury, was charge with several Massachusetts Drunk Driving Charges following a crash in Burlington this weekend that resulted in four people injured and a Bedford man dead. At this time, she has been charged with Operating Under the Influence of Alcohol, 2nd Subsequent Offense and Negligent Operation of a Motor Vehicle. According to the Massachusetts State Police, Nicole Parziale was allegedly driving on I-95 North when she crossed over several lanes of traffic and struck another car. From the collision, the other car was sent into the guard rail in the left lane. The driver of that car, Kayla E. Trenholm and her passenger, David N. Torrey, were taken to a Winchester Hospital for minor injuries. Meanwhile, Nicole Parziale and the passengers in her car, Glenn Robichaud and Denis J. Splain, were also taken to a Burlington Hospital for their injuries. Glenn Robichaud, however, later succumbed to his injuries. 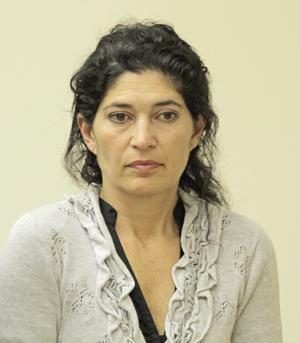 Leslie K. Minasian, 46, of East Bridgewater and former Boston resident, was arrested on Massachusetts Drunk Driving Charges after she allegedly struck a state trooper on I-93 early this morning. She was arraigned in Quincy District Court this morning on charges including Operating Under the Influence of Alcohol, Second Subsequent Offense, and Negligent Operation of a Motor Vehicle. According to the Norfolk County District Attorney’s Office, Leslie Minasian was driving on I-93, near the Route 24 exit, an area that was reportedly under construction and where a Massachusetts State Police Trooper was assigned for traffic control. The Trooper was inside his car, which was parked in a closed lane and with its emergency lights activated, when Minasian allegedly rear-ended the trooper’s car with her Land Rover Discovery. The extent of the Massachusetts State Trooper’s injuries were not immediately available, but it was reported that he was hospitalized at Boston Medical Center.